Apartments Category A. Located in Protaras in a peaceful and tranquil setting close to the beach. 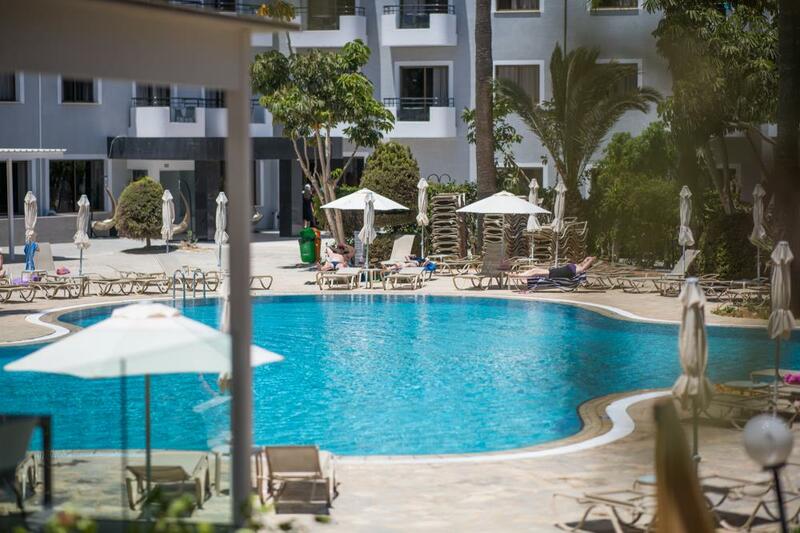 An impressive traditionally decorated resort with a quiet view, over the free form type swimming pool with water fountains, landscaped settings and gardens and a contemporary waterpark. An elegant property that offers well appointed studios and apartments, located in a tranquil setting in Protaras, between Cape Greco and the village of Paralimni. The beautifully landscaped gardens and large outdoor pool area make an ideal setting for a relaxing, sun-filled vacation. 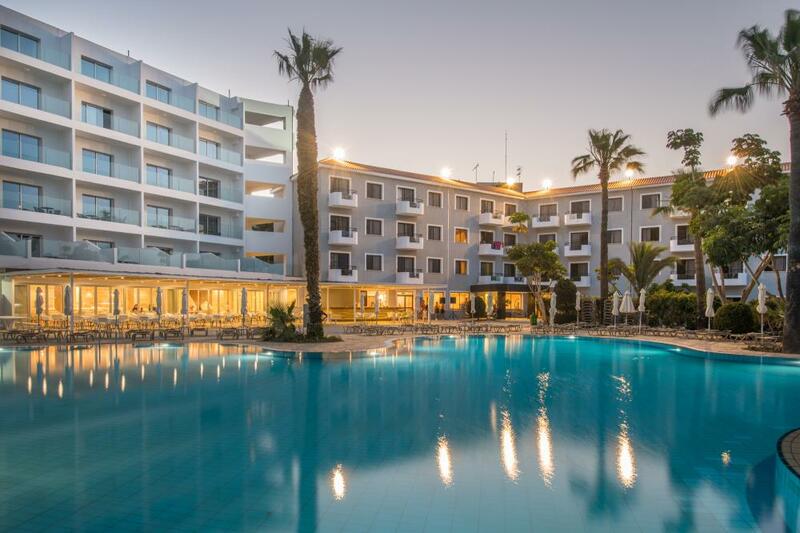 Narcissos Hotel Apts is a resort with a warm family atmosphere, excellent food and friendly service that will fully meet your expectations for a most pleasant holiday. 94 spacious apartments - 30 studios and 64 one bedroom. 67 apartments are located in the main building while the other 27 are Bungalow type located adjacent to the main building in the garden. 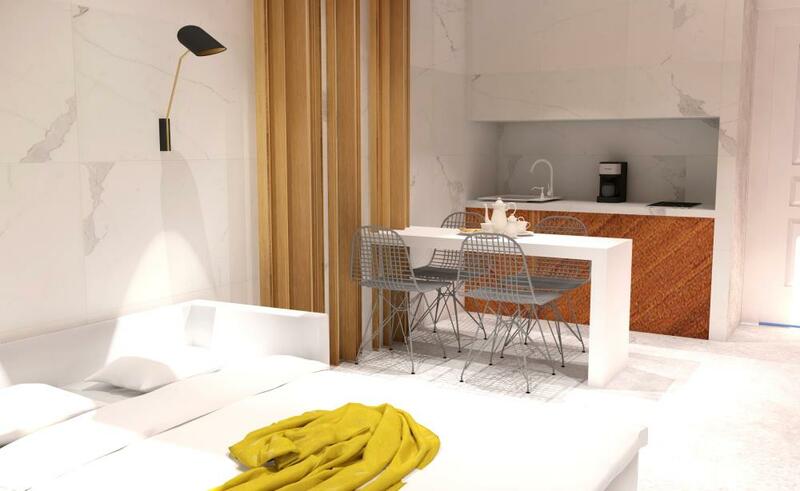 Studio apartments: All twin bedded studio apartments are open plan; include a kitchenette, a mini fridge, Satellite TV, mini safe deposit box (extra charge), direct dial telephone, bath/shower and balcony. All are air conditioned and can comfortably accommodate up to 3 persons. 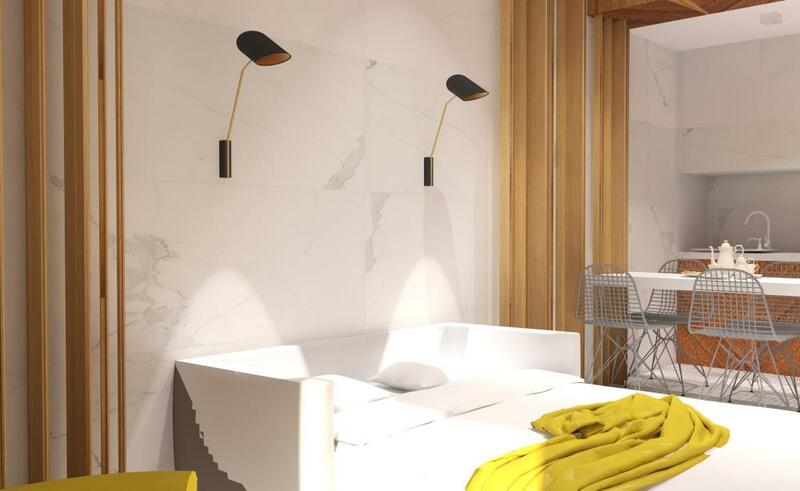 One Bedroom apartments: All one bedroom apartments are with one separate twin bedded bedroom and open plan living room and offering all other facilities of the Studio. Can comfortably accommodate 4 persons and are ideal for families with 2 children. Narcissos Hotel apartments is a resort with warm and family atmosphere, excellent food and friendly service. Enjoy your snack or dinner next to the pool. Mirror Restaurant: Serves breakfast, lunch and dinner theme buffets inspired by local and international cuisine. Narcissos’ Pool Bar: Enjoy a great variety of exotic cocktails, special coffees and all-time favorite classic drinks in a relaxing atmosphere. Enjoy different evening events at the Narcissos. 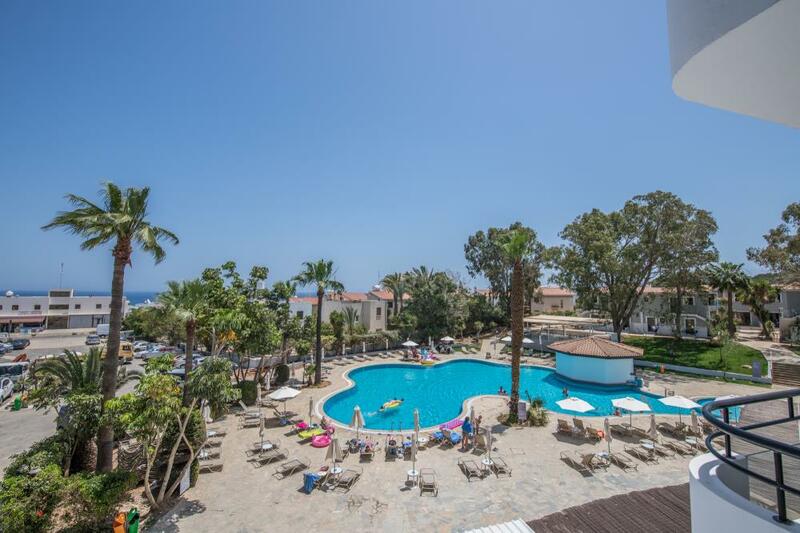 The varied afternoon and evening entertainment includes live music several times a week, dancing and Cypriot folklore shows, Theme night Buffets, wine tasting, competitions, Live sports on TV. Sports and recreational amenities include a floodlit tennis court, Basketball court, Table tennis, Pool table, electronic video games, Professional massages and beauty treatments are also available by appointment.